In 2015, Leizhan paper machinery company general manager came to Egypt and signed a contract with Egypt Al- Karma Paper Industries on supplying whole set of 150t/d Kraft Liner, Fluting, White board paper, T-paper stock preparation line for its new plant. The application of Leizhan latest T-paper making technology makes Al- Karma Paper Industries becomes the first T-paper making enterprise in Egypt. Leizhan delivered the whole fluting paper board pulp production project machine for Egypt customer. 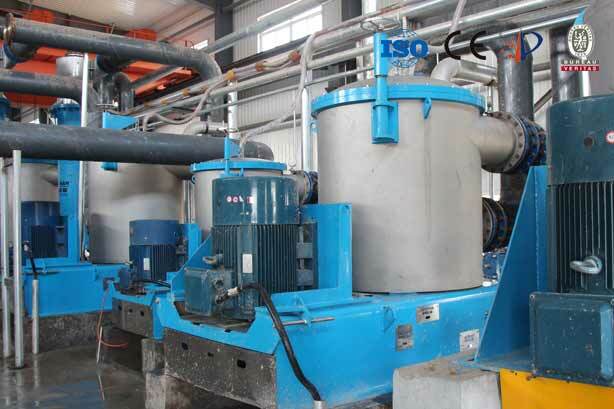 Machine included in the scope of supply: Pulper, Pulp screening machine, Pulp cleaning machine, Pulp refining machine, and approach flow system machine.